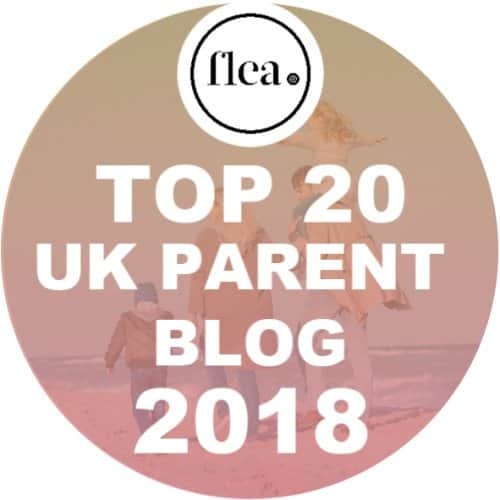 I can’t tell you how glad I was to get everyone into bed this evening – the levels of bickering and generally over-tired, over-emotional behaviour were reaching fever pitch and breakdown was imminent (I’m not sure which would have come first – mine or Amy’s). However, it was all worth it. 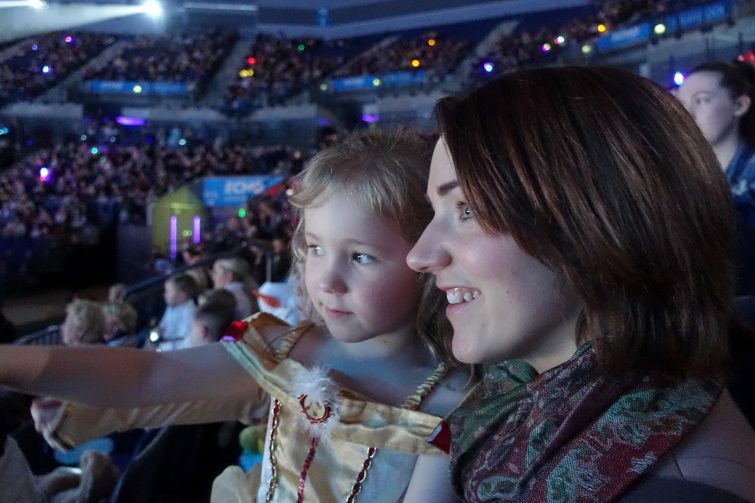 You see my girls didn’t get to bed till after 10pm last night having travelled over to Liverpool to watch the latest Disney on Ice show – Worlds of Enchantment. 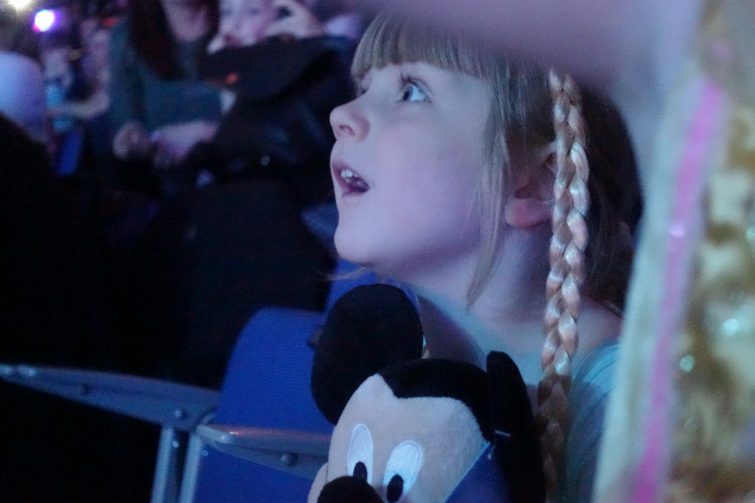 This was Chloe’s 4th Disney on Ice show and Amy’s 2nd – previously Amy had just been too little to manage the late night and whilst she’s still pretty small to be driving home from Liverpool at 9pm, she’s now more than capable of sitting and enjoying the show. 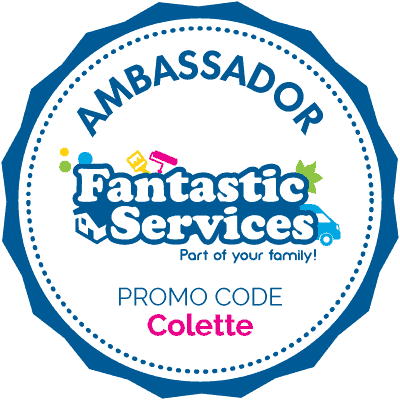 And enjoy the show she did. 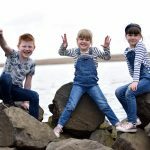 This time, Ben decided to forgo his ticket in favour of a “lad’s night” with his best friend meaning that we were able to taking my goddaughter, Erin (who regular readers will be familiar with as she features fairly frequently on my blog!). 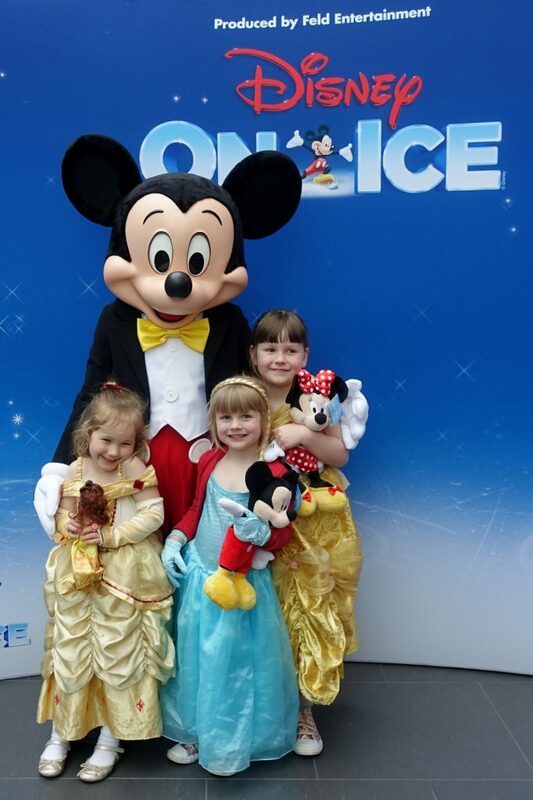 Previously when I’ve taken the kids to watch Disney on Ice, they haven’t known about it before hand but this time they’d been counting down for days with the excitement building. 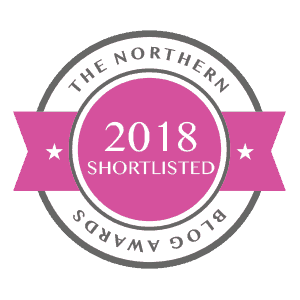 In the past it hasn’t really occurred to me to dress them up, and I’ve tended to concentrate more on making sure they’re comfortable for the journey and the show itself but this time round we decided to let the girls wear their princess dresses which if I’m honest just seemed to add to the magic for them! The Worlds of Enchantment show starts with a quick “Fit to Dance” performance which encourages the audience to get up and get moving – I was impressed to see Chloe leap up and bust out some moves, she normally takes a little while to warm up to these things! The main show was split into four sections featuring Toy Story 3, Little Mermaid, Cars and Frozen with a short interval in the middle. 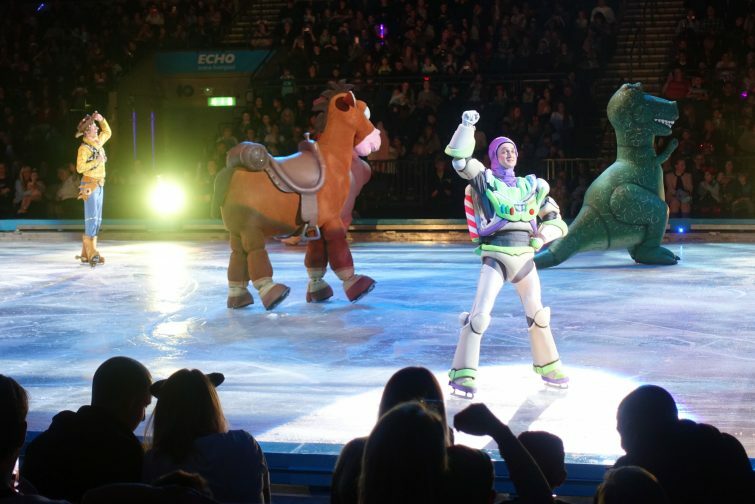 Having seen several Disney on Ice shows now I was super excited to see something different on the ice – Toy Story 3 and Cars haven’t featured before in the Disney on Ice shows that we’ve seen and if I’m honest I have more than a bit of a soft spot for the Toy Story trilogy so was thrilled to see some of my favourite characters performing. As ever I found myself marvelling at how it’s even possible to skate as the back end of a donkey or dressed as a pig. 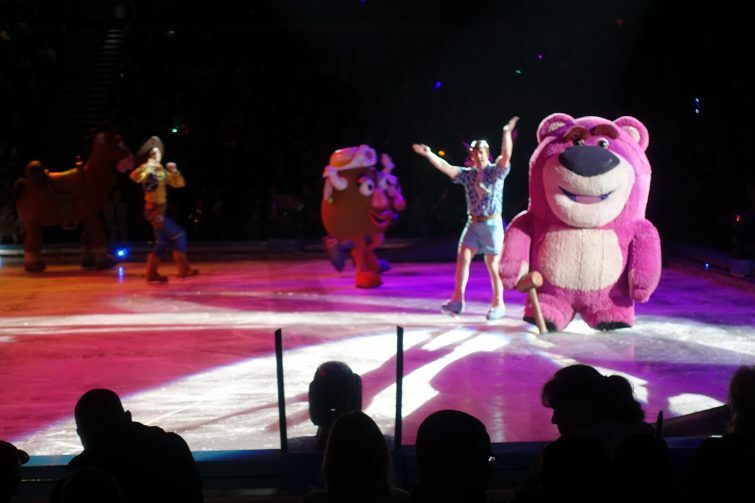 The Toy Story performance gave a whistle-stop tour of Toy Story 3 outlining the story from Andy packing up his toys to them arriving at Sunnyside, Lotso and eventually their escape – it’s amazing how much of the story can be condensed into a few songs and some skating! The Little Mermaid always plays out well on the ice featuring your favourite songs and, possibly one of my favourite costumes of the entire show – Ursuala. The enormous inflatable Ursula which we’ve seen previously didn’t make an appearance last night but I think the Little Mermaid section was shorter than the Toy Story one – it certainly felt that way at any rate. 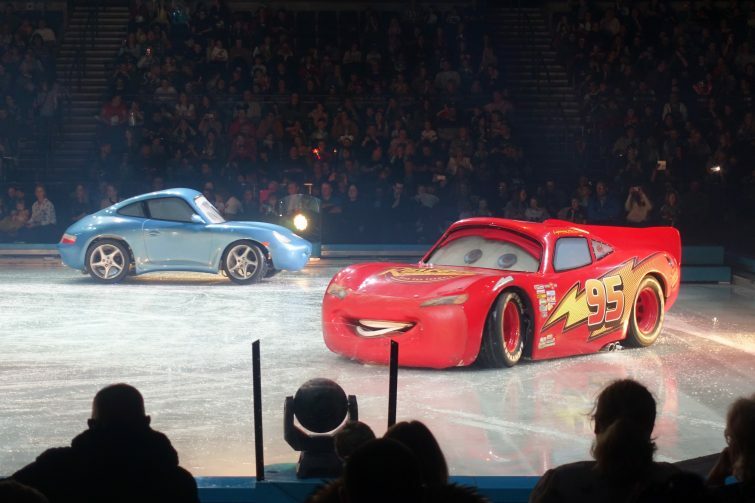 After the interval (where poor Amy panicked that the show was over and she hadn’t seen Elsa) we were treated to Cars – which was a bit of an odd one as it didn’t involve any skaters just cars whizzing around expertly on the ice! I’m fairly sure this was some fancy remote control trickery as I couldn’t see anyone inside the vehicles!! Amy was super excited as one of her friends at Nursery loves Cars and she couldn’t stop telling me how much Noah would love this bit of the show and whilst it wasn’t my personal favourite I could see how exciting it would be for a Cars fan! 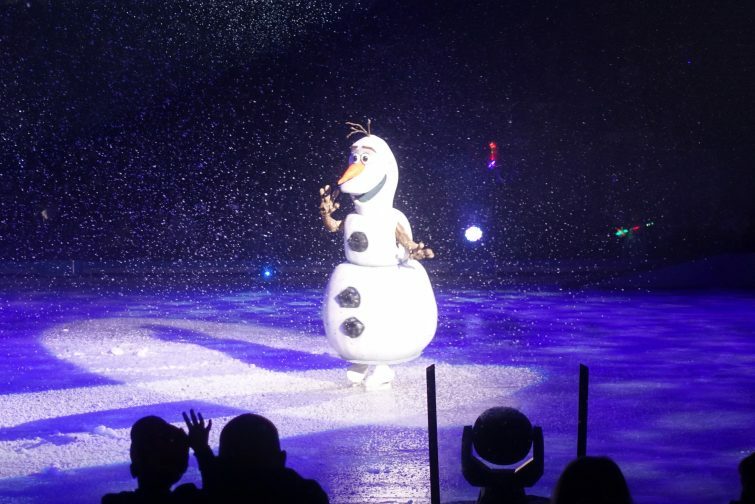 And then of course it was time for the grand finale, I’ve said it before but Frozen was made for the ice. 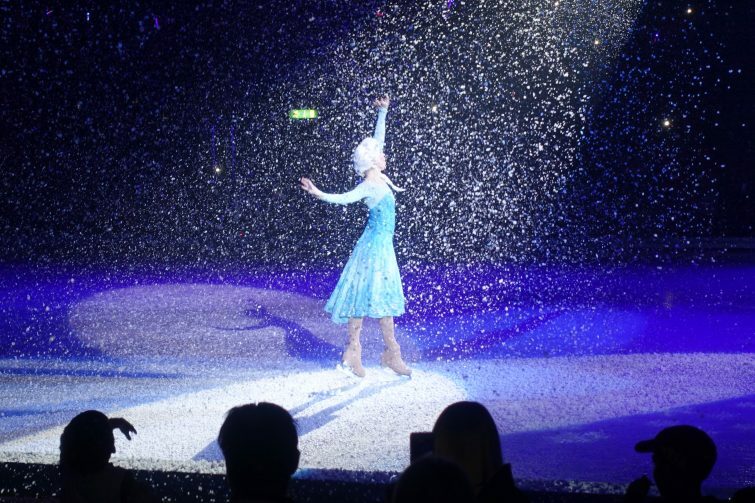 Every Disney on Ice show we’ve seen has featured Frozen and each time it is a spectacular of beautiful costumes, fake snow and amazing ice dancing. 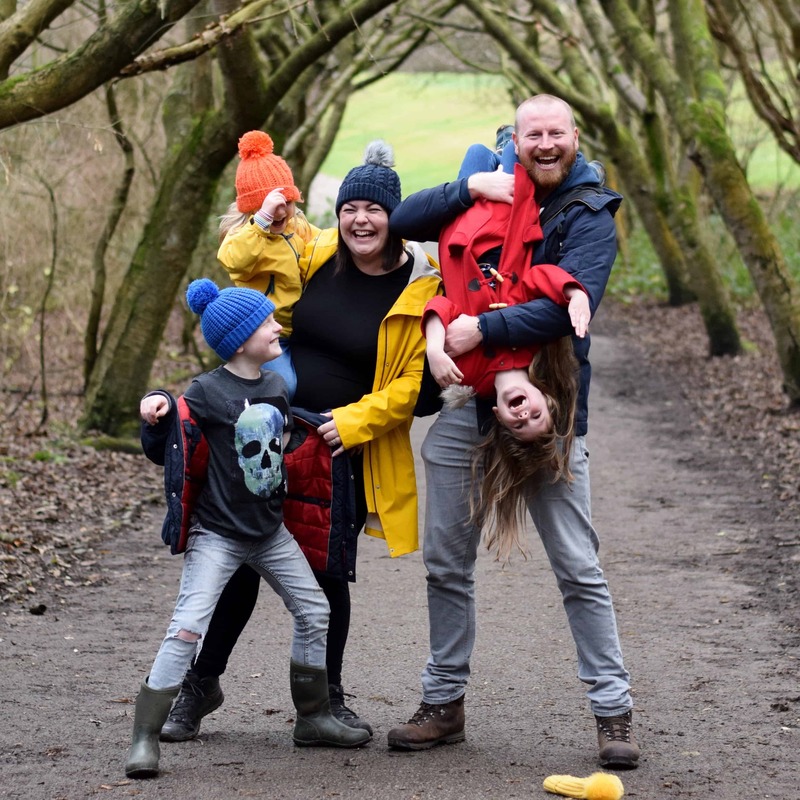 Amy was beside herself – I think she actually enjoyed it more this time than she had the first time we took her! Proving you really are never too old for Disney, my friend Sarah from Extraordinary Chaos watched the show with her teenage son and friend! 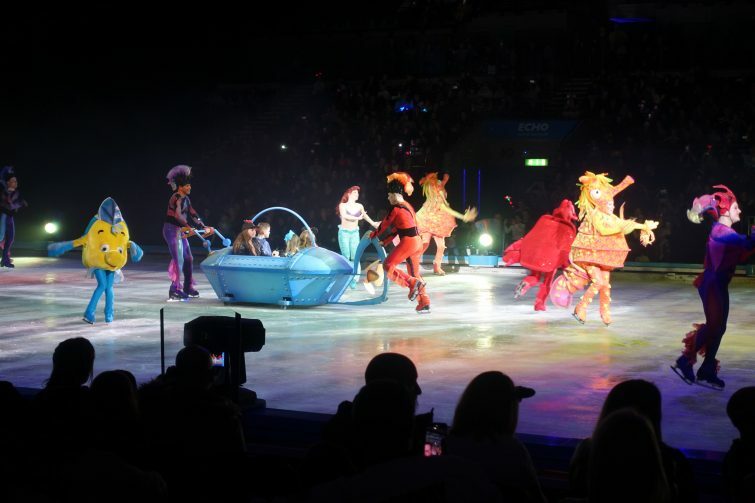 You can catch Disney on Ice, Worlds of Enchantment at Echo Area Liverpool until this Sunday before moving on to Nottingham, Cardiff and Aberdeen. 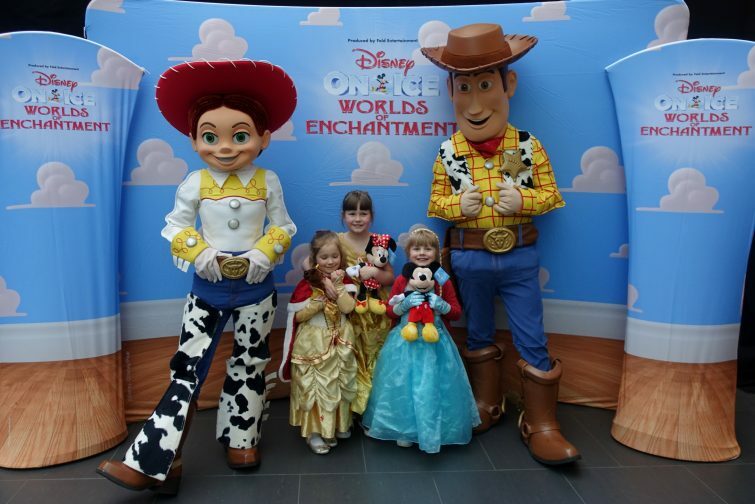 So looking forward to going – Disney on Ice Worlds Of Enchantment sounds amazing. I think Frozen will defo be the hit in our house!! !